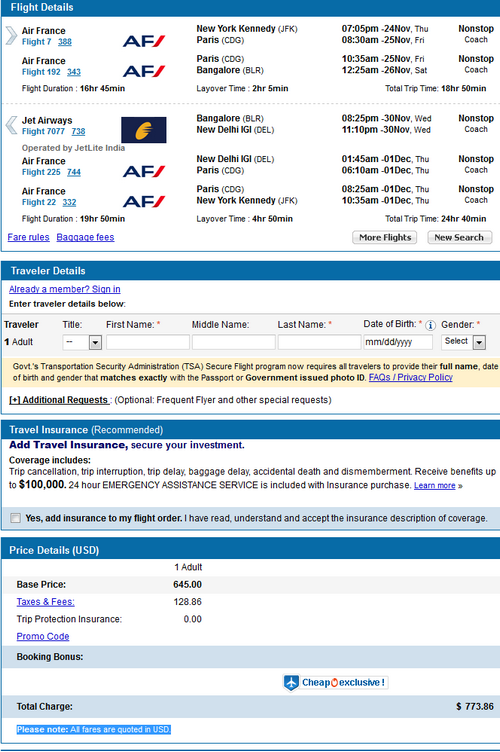 CheapOair.com has a special pricing for Air France from JFK – Bangalore. This is as good as it is going to get for going to Bangalore from the US! 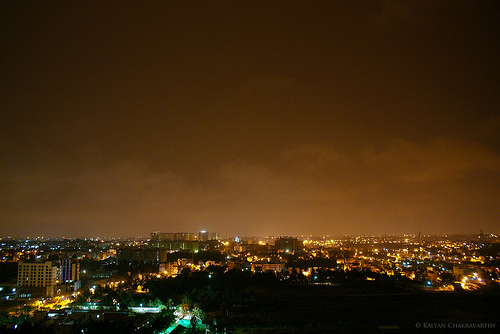 Bangalore is the IT outsourcing hub for India! November 24th – November 30th. Valid for departures until 11/30/2011 (we could not find the fare rule — this is based our own trial and error, but November 30th was the last departure date that we found at this price.). Return can be until end of December. 17,281 miles or 4.4 cents per mile — miles can be credited to Delta SkyMiles or Alaska Air Mileage Plan. So at checkin, please provide them with either your Delta or Alaska number! Prices are as low as $745. This potentially can be a mistake fare — so CheapOair can potentially cancel this. Visa: US Citizens – Required prior to arrival. Pricing varies.